If you get few working proxy or it takes too long to test the proxies in Elite Proxy Switcher or Socks Proxy Checker, you should use this patch. Moreover after installing the patch you can set the Max Thread from the default 8 to 24 which can boost the testing speed by 3 times. 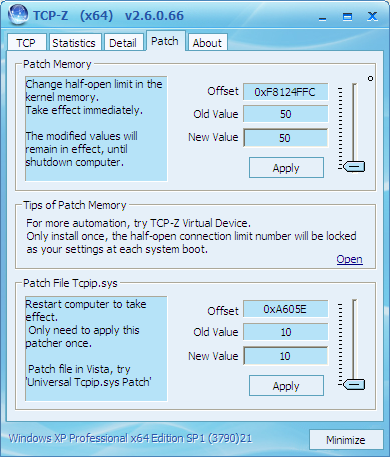 For Windows XP Users, Microsoft only allows 10 simultaneous connections in order to improve the security, but an immediate downside is the fact that it impacts the multi-thread Internet programs such as Elite Proxy Switcher, Socks Proxy Checker and Forum Proxy Leecher. Is it illegal to use proxy?